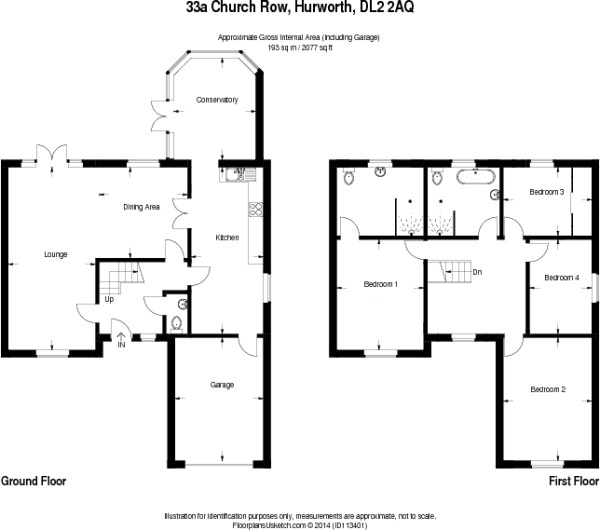 Individually built four bedroom detached residence within the picturesque village of Hurworth. Presented to show house standard internally the property has double glazing, gas fired central heating and security alarm system. 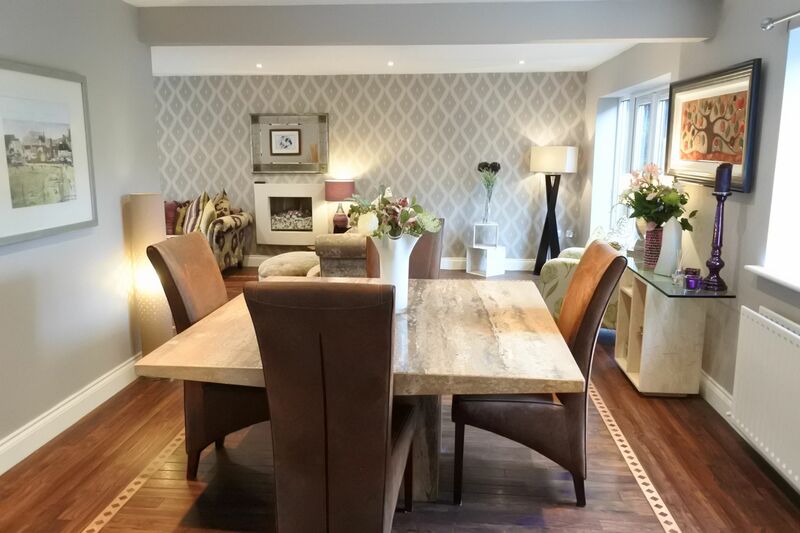 To the ground floor the open plan living room leads to the dining room with double doors opening in to the kitchen. 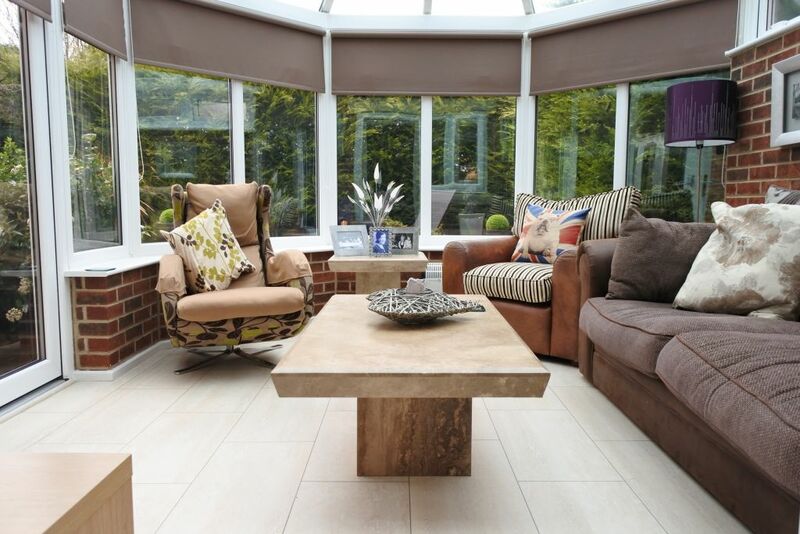 A conservatory off the kitchen leads on to the private enclosed rear garden with extensive patio, sun terrace and decking area. Covered portico entrance with double glazed access door opening into a sizeable reception hallway with feature return staircase with concealed lighting giving access to first floor accommodation. Karndean flooring and doors opening onto all ground floor accommodation. Cloakroom/wc off the hallway fitted with a white suite comprising low level WC, wash handbasin, partly tiled surrounds, Karndean flooring, extractor fan. Superbly appointed spacious large living room with bespoke wall mounted remote control gas fire, recessed lighting to ceiling, Karndean flooring, TV aerial point, power sockets, double glazed window to front aspect with additional double glazed french doors opening on to the rear garden giving the room a light and airy feel. Good sized dining area with Karndean flooring, useful understairs storage cupboard, central heating radiator and power sockets. 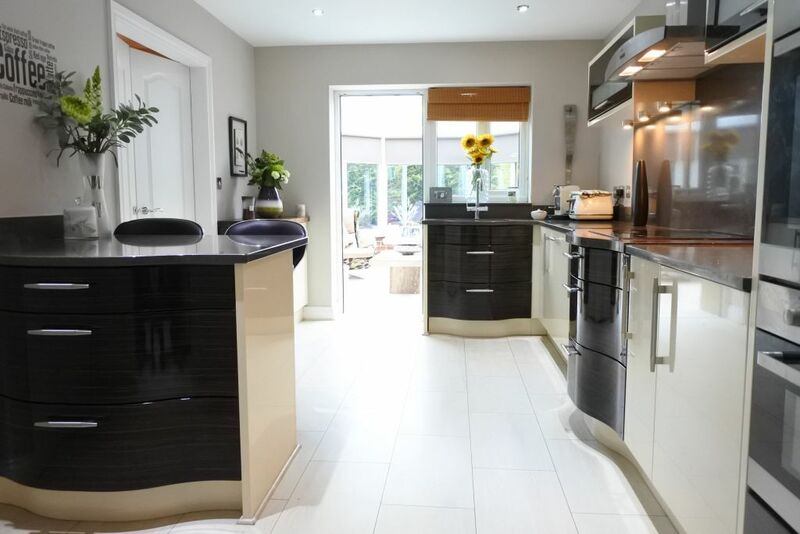 No expense has been spared in the quality fitted kitchen with units to wall and floor with contrasting silestone work surfaces with matching splash back and breakfast bar. Inset sink unit, extractor hood, induction hob, fan assisted double oven, integrated microwave, recessed low voltage lighting, access door to garage and double glazed door opening into conservatory. A further good sized addition to the property is the conservatory being fully double glazed with views overlooking the private enclosed rear garden. 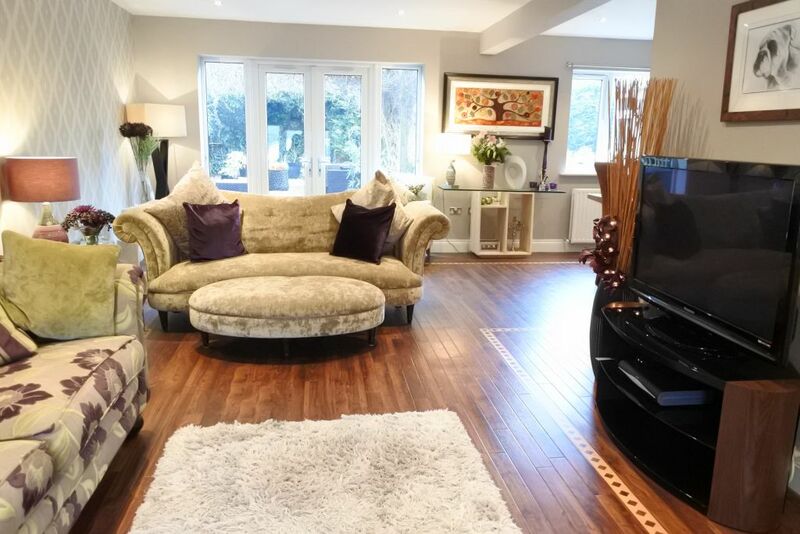 A spacious galleried landing area giving access to all first floor rooms with Karndean flooring, recessed lighting to ceiling, double glazed window to front aspect and doors opening onto all first floor accommodation. 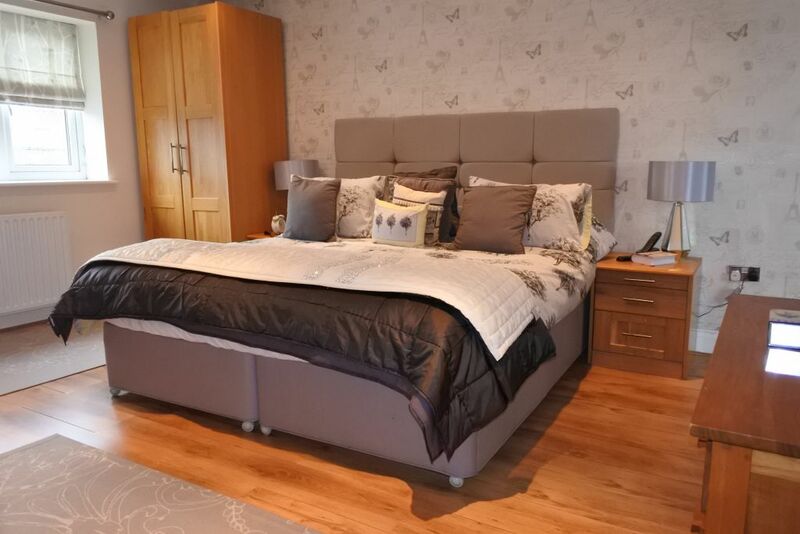 An excellent sized double master bedroom having colour co ordinated decor with double glazed window to front elevation, recessed low voltage lighting to ceiling, attractive flooring, central heating radiator and power sockets. Fully tiled en-suite shower room and fitted with a white suite, porcelain handbasin with vanity unit beneath. Double walk in shower cubicle with overhead rain shower and glass shower screen, heated chrome towel rail, large vanity mirror with lighting, recessed low voltage lighting, extractor fan and double glazed obscure window to rear elevation. Three further bedrooms and family bathroom. 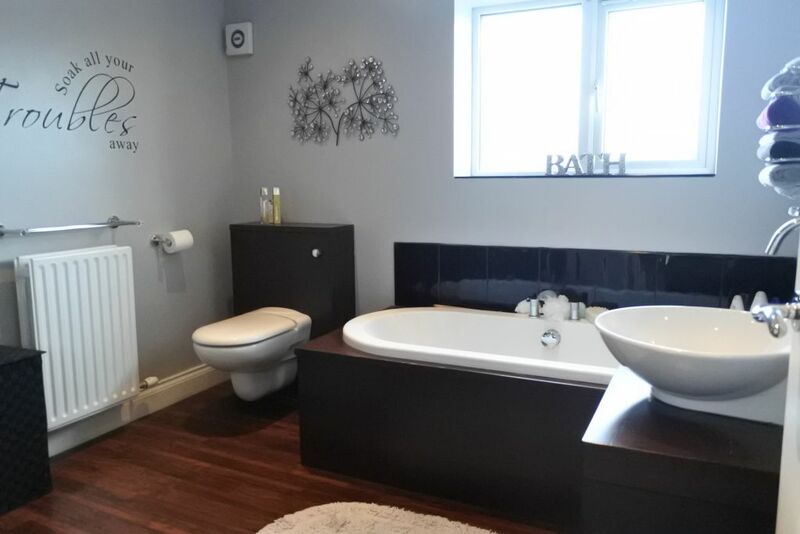 Fitted with a quality white suite comprising panelled bath, walk in fully tiled shower cubicle with overhead shower, low level WC, porcelain wash hand basin, Karndean flooring, recessed lighting to ceiling and obscure double glazed window. 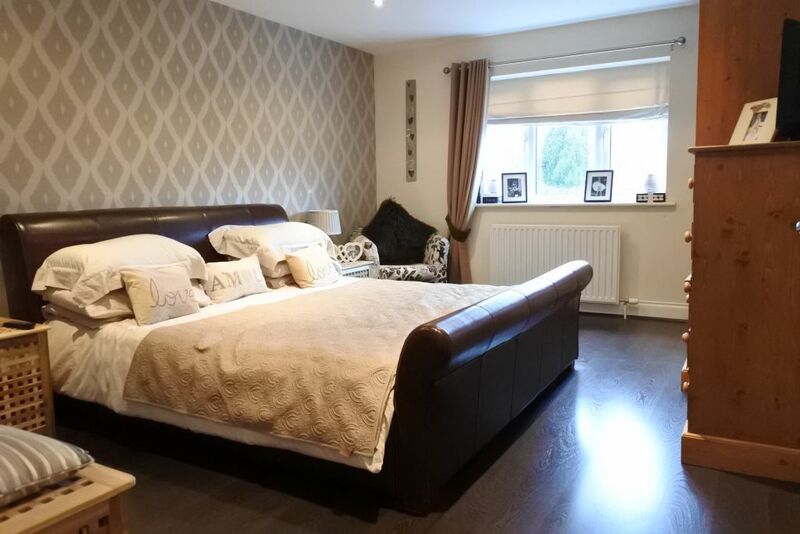 Externally the property enjoys a superb position within this sought after village location. 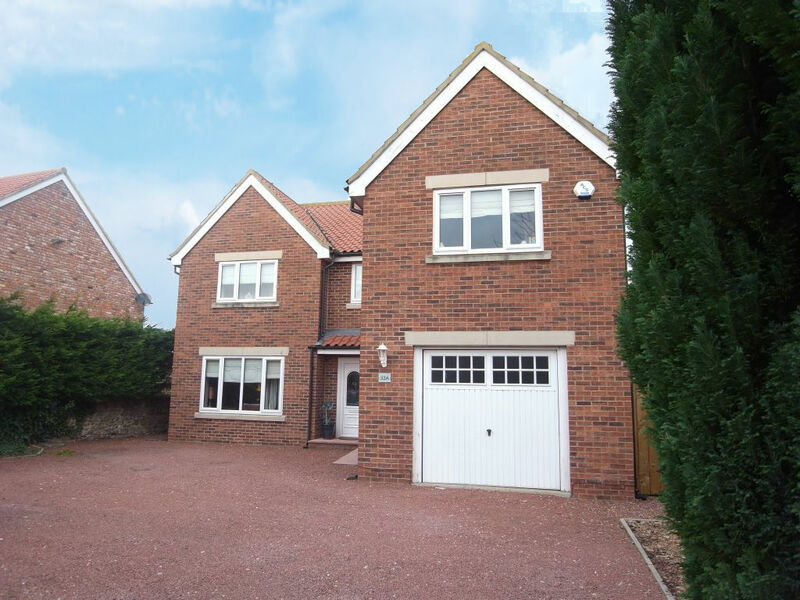 At the front the property is approached over a large driveway which provides hardstanding and parking for several vehicles and gives access to the garage. With remote controlled door, power and lighting, wall fitted units with contrasting work surfaces and plumbing and space for automatic washing machine. 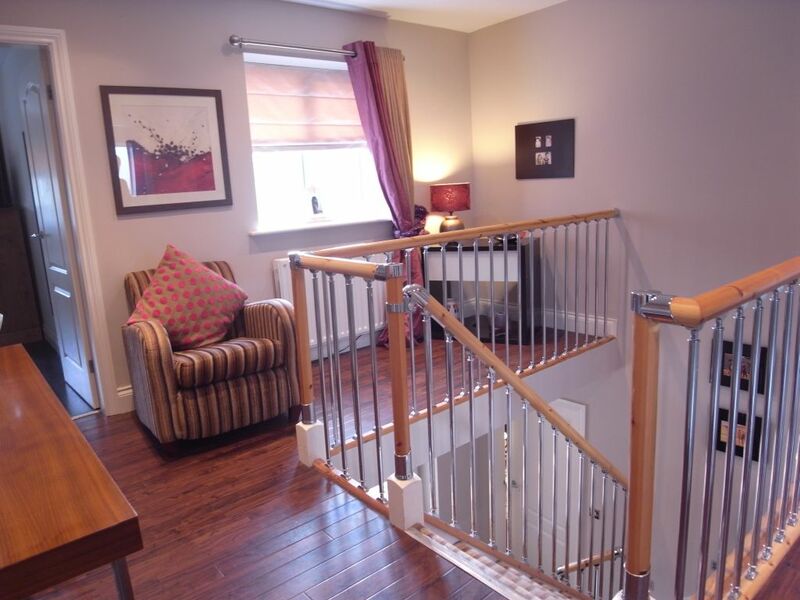 A feature of the property is the excellent enclosed rear garden which has the benefit of being most private. The garden has an extensive decking area with a further sun terrace, lawned area (Astroturf) and established borders, a pergola covered with an abundance of clematis, gravelled display area and the rear garden is enclosed with timber fencing. Also having side gated access to the front of the property. All in all a most interesting and varied garden.